How to Record Audio from YouTube on PC or Mac with YouTube Audio Recorder Software? Many people would come across such occasions. When we’re watching movies, some enchanted interludes could deeply impress us. If you also get such questions mentioned above, you could turn to Leawo Music Recorder, a top-rated audio recording software program that could record any audio available, including Built-in audio (Built-in Microphone, Built-in Input and Greatdy System Audio) and Computer Audio (Computer Audio Stream and Online Music). This audio recording software could help you easily record YouTube audios into MP3 and WAV formats. It could record online music from YouTube, Pandora, Last.FM, Napster, Spotify, GUBA, NPC, MySpace, etc. What’s more, asides with recording songs from YouTube, it could automatically add song tags to recorded audio files, including song artist, song album, album artwork, song name, etc. 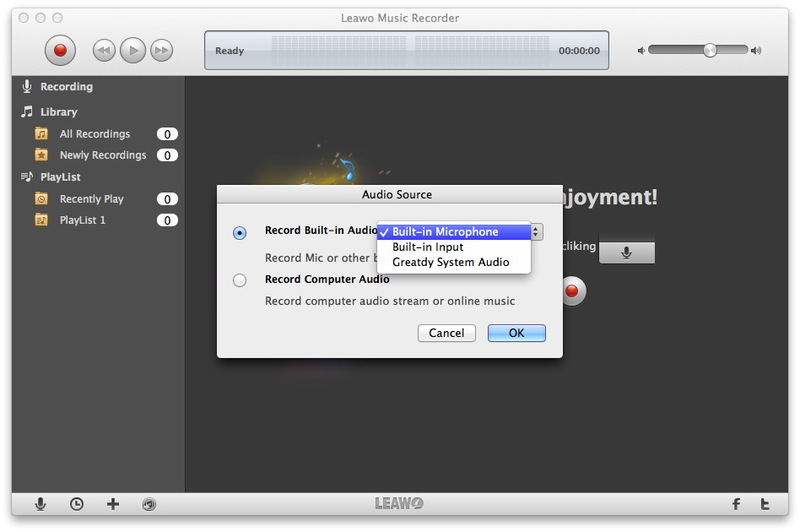 Mac users could turn to Leawo Music Recorder for Mac to record any audio on iMac or MacBook. The following 2 sections show you how to record YouTube audio on PC and Mac respectively. Section 1: How to Record Audio from YouTube on PC with Leawo Music Recorder? Before you start to record YouTube audio on PC, you shall download and install Leawo Music Recorder, and then launch it to enter the main interface of the program. Click below icon to get Leawo Music Recorder downloaded. 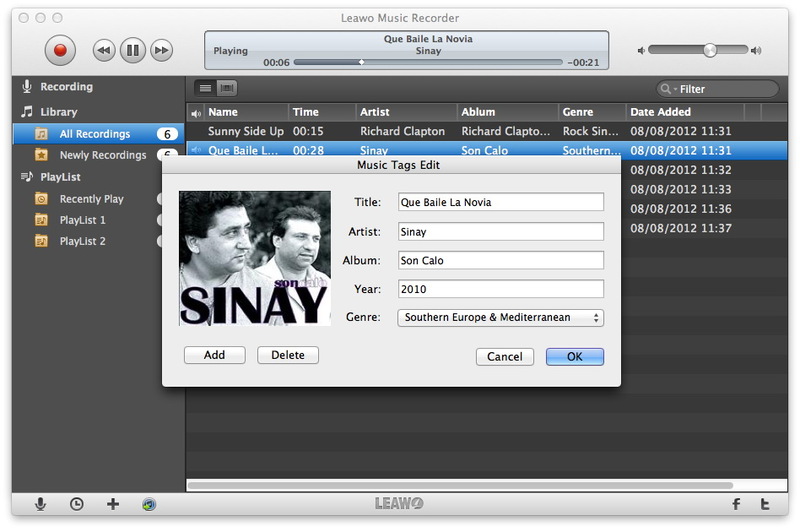 Leawo Music Recorder supports Computer Audio and Audio Input recording. Online music and audio like YouTube audio are included in the supported list of Computer Audio. Before recording, you need to set the audio source you want to record with this YouTube audio recorder software. Click the “Audio Source” icon on the bottom-left corner to invoke the Audio Source settings panel. As you want to record audio from YouTube, you need to select “Record Computer Audio”. Click the inverted triangle button on the top-right corner to invoke the program settings panel. Under “General” tab you need to set the output directory to save recorded YouTube audio. To record YouTube audio to MP3 or WAV, you need to set the format (MP3 or WAV) for output recordings under “Format” tab, and you could also set the audio parameters here. Then, after you click the red start button on the program interface, you could click to play YouTube audio to start recording YouTube audio. It should be noted that the YouTube audio source is played after the red button is clicked, otherwise the audio source might be not recorded completely. Though the song tags could be automatically added by this YouTube audio recorder software, sometimes it might fail to recognize the recordings or you may want to edit the song tags manually, thus you could righ click the desired recording and select “Edit Music Tags” option to do manual editing work. 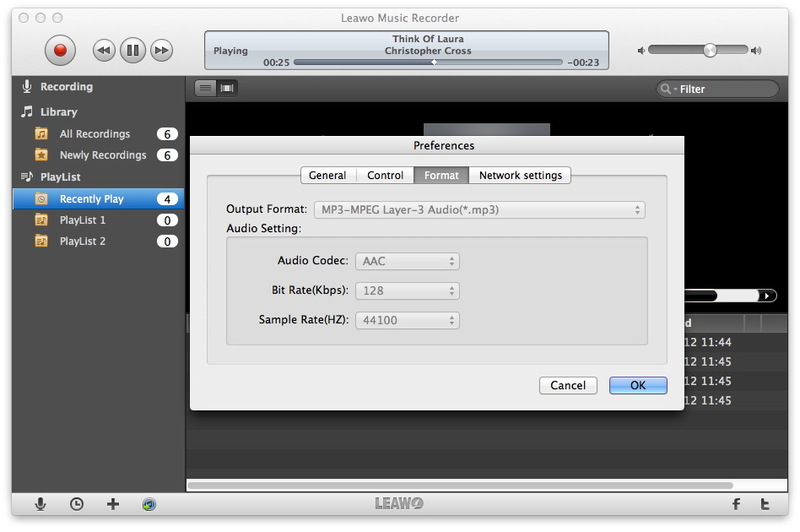 Section 2: How to Record Audio from YouTube on Mac with Leawo Music Recorder for Mac? Before you start to record YouTube audio on Mac, you shall download and install Leawo Music Recorder for Mac, and then launch it to enter the main interface of the program. 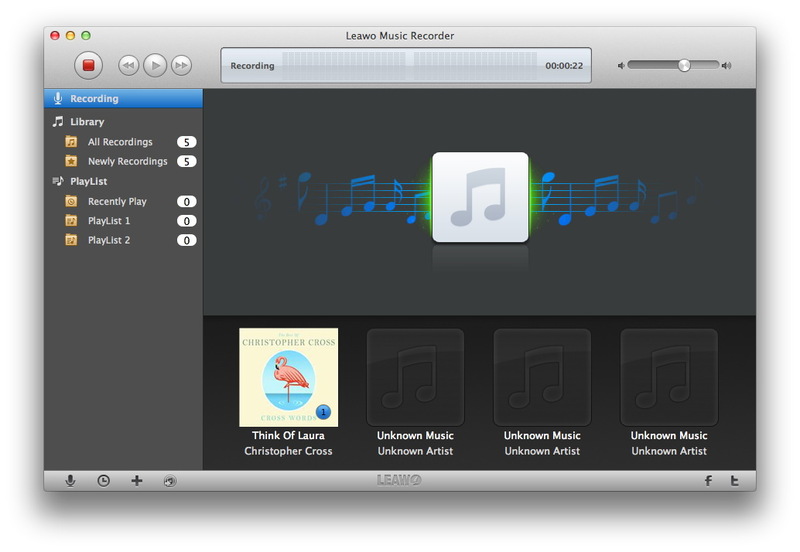 Click below icon to get Leawo Music Recorder for Mac downloaded. Leawo Music Recorder for Mac, like its Windows counterpart, also supports Computer Audio and Audio Input recording.Before recording, click “Audio Source” icon on the bottom-left corner to invoke the Audio Source settings panel to select “Record Computer Audio” for recording audio from YouTube. Hit “Leawo Music Recorder >> Preferences” to enter Preferences panel, where you can set output audio format from MP3 or WAV, and you can detail audio parameters as well under “Format” tab, and under “General” tab you need to set the output directory to save recorded YouTube audio. Go back to the main interface of this Mac YouTube audio recorder, click the red start button on the program interface, and play YouTube audio to start recording YouTube audio. It should be noted that the YouTube audio source should be played after the red button is clicked, otherwise the audio source might be not recorded completely. Though the song tags including artist, song name, album artwork, album, etc. could be automatically added by this YouTube audio recorder software, sometimes it might fail to recognize the recordings or you may want to edit the song tags manually, thus you could go to the recording library, righ click the desired recording and select “Edit Music Tags” option to do manual editing work.